The 3D SERGE Popgrip is one of 3 designs from our latest collaboration with global phone accessory Brand, PopSockets! Featuring 3 unique, signature designs that have been drawn from the history of the Brand, combined with current trends. Are you the king or queen of taking selfies? If so, you have no excuse - this is the perfect accessory for your phone. Throwing your phone around is a problem which we think everybody has if you get one of these. We have experienced them first hand and trust us this won't happen! The 3D Serge Popsocket is a replicated design of one of our most recent iPhone cases and combining it with the matching case is just a must in our eyes. Just imagine how this would look paired with our jewellery, the smaller details make an outfit, stacking the Skull Row Rings with this would look fire. The company Popsockets began back in 2010 and has since gone on to become one of the fastest growing iPhone accessories of recent years. 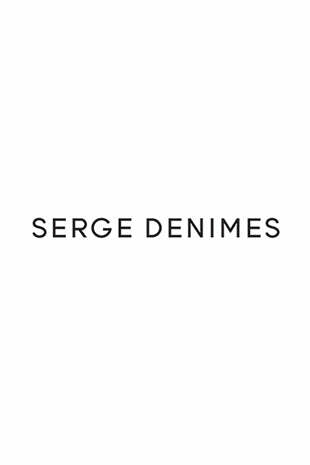 They offer a wide variety of designs and align perfectly for Serge, so collaborating their product with our original designs is a natural viiiiiibe. Please note if the Popsocket has been used we are unable to accept returns or exchanges.